It’s time for a Roland VR-09 V-Combo Organ review. Boy, that is a mouthful, isn’t it? But this product is worth the effort. Roland makes good pianos in general-usually in the moderate-upper moderate price range. But how can you really get an understanding of how good a specific piano is? That’s the hard part. It’s nice for them that the company has a good reputation, but what does that mean for you? Not much. Not without a little bit of insight anyway. Insight we aim to provide. We studied this piano. We learned what it is good at, and what areas could use some work. Everything that we learned has been assembled in today’s guide. Time to take a look at some important aspects of the Roland VR-09. 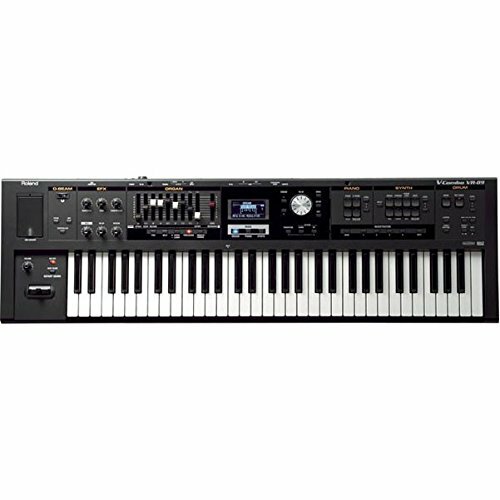 Everything that you will find in this section reflects aspects of this keyboard that we liked. We will also look at issues in subsequent sections. If you are into creating your own music, you are going to really dig what you find here. The Roland VR-09 comes with the works. For one thing, you get access to the Roland tone library. A collection of tones and sounds that will provide you with lots of samples to get creative with. Naturally, given the products name, they place particular emphasis on organ tones. They also have a nice library of synth sounds as well. To tie the package together, you get a nice setup for controlling your settings. 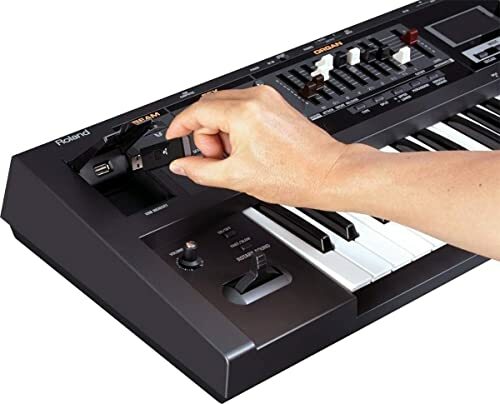 The keyboard is controlled through a series of easily navigated sliders and knobs. Most users won’t have trouble with them. All in all, the set up here is very user-friendly when it comes to creating music. To sweeten the pot a little bit, Roland has also thrown in an IOS app. If you have an apple product, you are going to be able to sync it up with the keyboard as a way to more easily control the settings. This is more of a bonus feature than something that you actually need. If you don’t have an IOS capable product, you won’t be able to use the app, but you will be able to use the keyboard. Another nice thing is that this keyboard is going to be very easy to transport. There is no question that the Roland was made with the traveling musician in mind. The dimensions are modest, and at under twenty-pounds, it isn’t going to be too heavy either. If you are looking for something to take to gigs, this unit will certainly meet that requirement. We did find that some of the nobs, sliders, keys, etc, were a little bit sensitive in terms of durability. This is common of these elements of a keyboard. Needless to say, pianos aren’t designed to get kicked around. However, hardware vulnerabilities do complicate transportation a little bit. A good case and mindful handling should be all that it takes to keep your keyboard safe on the road. One issue that people will encounter before they ever sit down with the VR-09 is probably going to be price. Looking at the spectrum of pianos as a whole, this keyboard isn’t necessarily ridiculously expensive. But the spectrum of piano prices is also kind of ridiculous. Regular people, with regular money, might find the price tag here to be an insurmountable hurdle. Understandable. If that is you, there are keyboards that sound just about as good that are available for less. Other issues are on the small side. We found that the tone library, while extensive, did not quite satisfy at the level we hope for. Many musicians, especially the gigging type, don’t want to compromise in terms of sound quality. The VR-09 does a little bit. We noticed this particularly in the piano tones, which is perhaps extra unfortunate. Though not necessarily bad, the tones did have a hollow quality to them. This is pretty common of keyboards. It’s a sound profile that betrays the fact that you are indeed playing an electric. For nuance that it is indistinguishable from acoustics, you have to be willing to pay a good deal for it. Even more than you pay here. 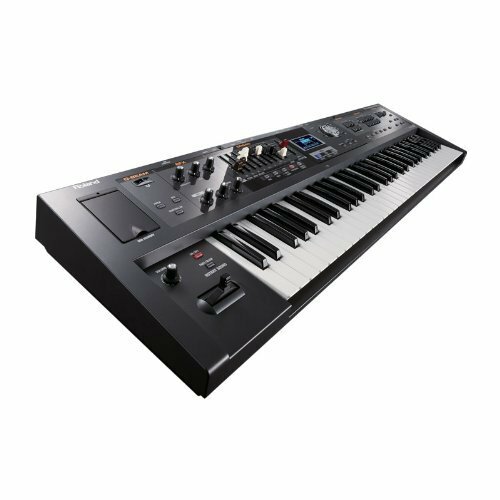 Still, there are keyboards out there in this price range that perform a little bit better with tones. Should this be a deal breaker? We didn’t find the quality to be that lacking. However, decisions of that nature are to be made at your own discretion. Last, as we mentioned in an earlier section, we found the controls to be a little bit fragile. This is not a huge concern for most people, but it will be something to bear in mind. These small things aside, we didn’t find much of anything to complain about. It’s a good keyboard for buyers with a little bit of a budget to work with. The review is pretty much over now. Did you make your decision yet? The problem with reviews like this is that there is so much information to keep track of, right? Let’s help with that. Below you will find some pros and cons that will provide a condensed version of what we learned today. Price is probably going to be a hurdle for some people with this piano. The other factor is simply going to be what type of artist you are. As far as we are concerned, there isn’t really any denying that the Roland VR-09 is a good piano. It just emphasizes some features that not everyone will need. It’s advanced. There are studio oriented features, which largely account for the cost. Of course, they also emphasize the organ component of the piano, which may or may not appeal to you. Bottom line? It’s a great piano that will be perfect for the right user. It’s your job now to determine if that user is you.